Kai was born five days before Christmas. Hopefully you have read his story by now because it’s a big part of my story, but if you haven’t, just know that I put tremendous pressure on myself each and every year to celebrate him in a special way. Because he is such an incredibly special kid. And sometimes (ok, each and every year…), pulling together a special celebration five days before Christmas can be a little overwhelming. Because Christmas babies don’t want Christmas parties. They don’t want reindeer and snowflakes and tinsel. I want his birthday to represent him and his life and his friends and his favorite things…without the shadow of Santa looming in the background. So this weekend, Kai turned four. 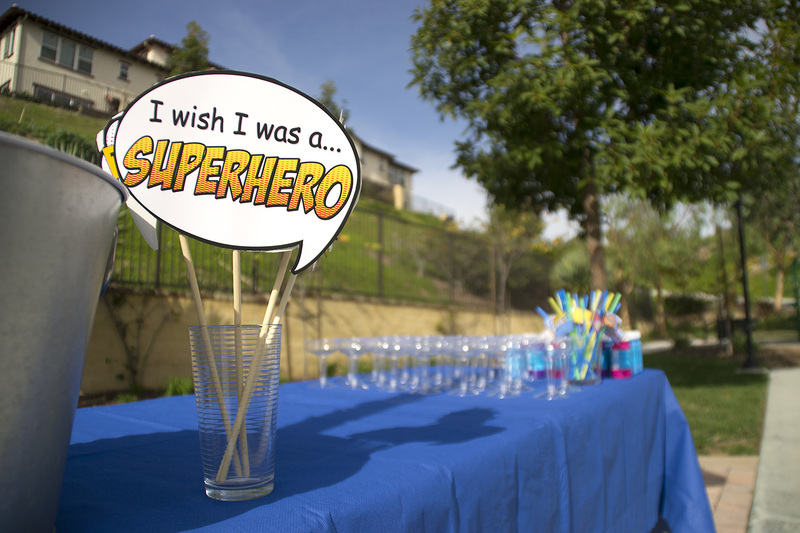 And naturally, his life and friends and favorite things can all be summarized by one thing right now: superheroes. We tried to keep it simple and quickly realized that that is virtually impossible these days. My husband and I were like remember when we were kids and we had five friends over and cake and Kentucky Fried Chicken and maybe a party hat or two? And it was awesome? Well, I couldn’t stop at party hats. 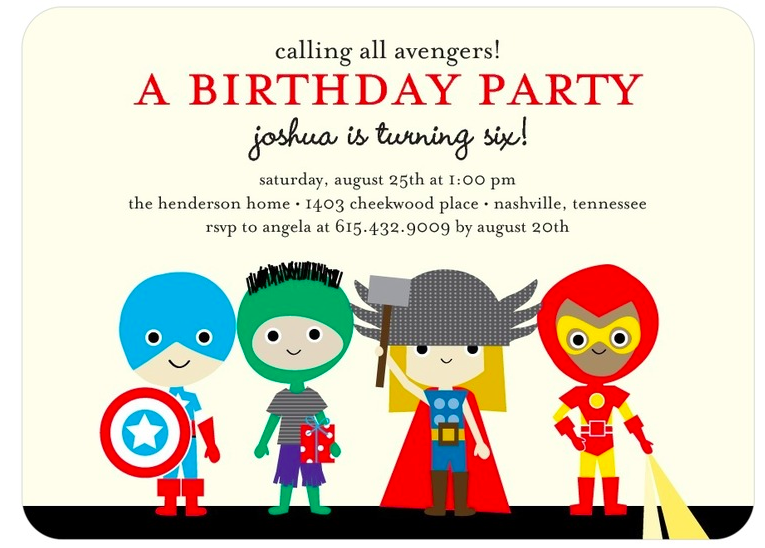 We used the invites above from Tiny Prints because I loved the idea of having a superhero theme without a typical Batman to be found….well almost no typical Batmans, see picture below. 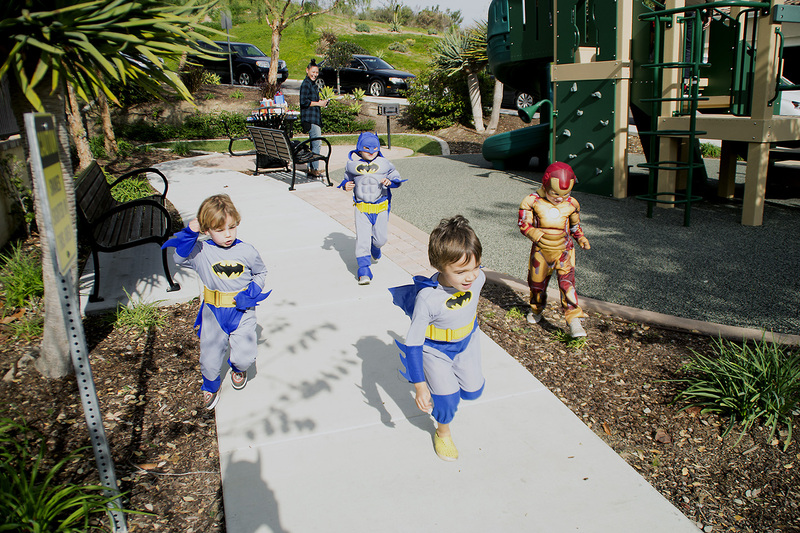 We decided to host it at the tot lot/grassy area across the street from our house to make it easy and asked the kids to come in costume which added a perfect element of play. I was anxious about having “entertainment” for them and thought about hiring a magician or some strange man dressed up as Spiderman or something but we opted not to and it was perfect. It turns out that wide open spaces, a small playground and two dozen kids in superhero costumes is entertainment enough for any happy kid. Check him out with his little preschool crew of caped crusaders. It was so awesome. 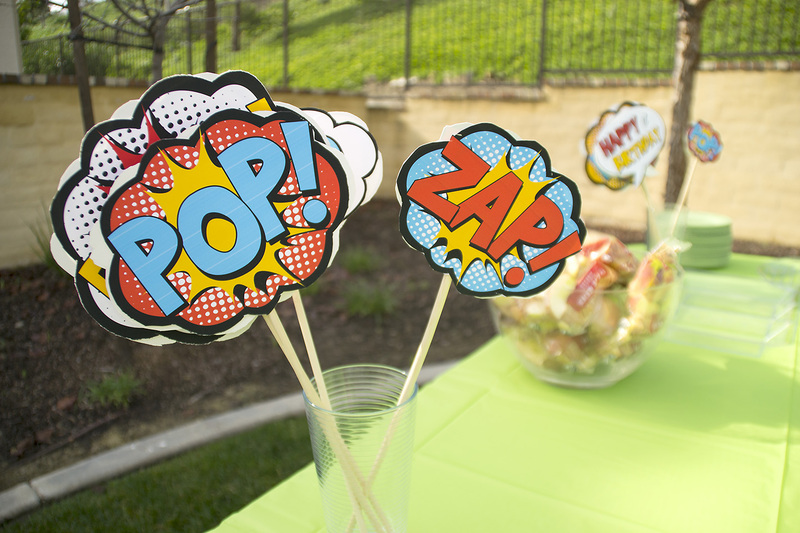 We used these super cute printables we found on Etsy and I have decided I will never host a homemade party without printables again. They just add such a fun, easy element of decor and really bring the theme to life. I used them for D’s 5th “Milk & Cookies” party and loved those, too. Kids got pizza and snacks, adults got mimosas and sandwiches and everyone got bubbles…just because. We rented kid-size tables and chairs which are always a must for pint-sized parties. It’s amazing how well the kids can sit and focus and settle down when everything is their size. 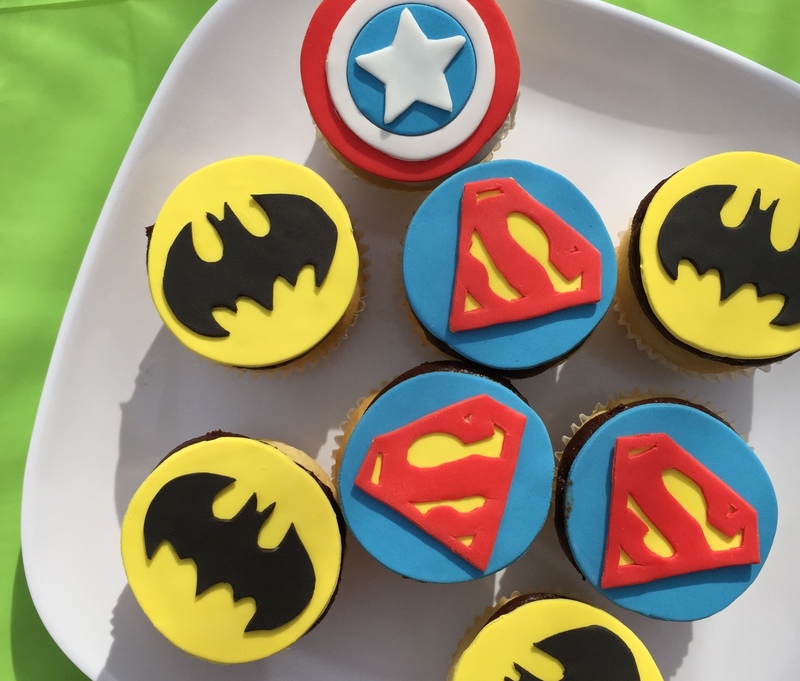 And we celebrated with some super custom cupcakes made by my favorite local baker, Debbie from Dessertville (top picture). I found the inspiration online and asked her to bring it to life and she did, with delicious results. Simple, super fun and not a Santa to be found. Fun party! My boys always love the simple parties, although it stresses me out as I like to schedule fun! Dessertville is amazing. Deb just baked amazing treats for my Christmas party and there were a big hit.